Myles and Jordan request your attendance, as they begin their life together. Myles and Jordan will "tie the knot" at the Hard Rock Resort in beautiful Puerto Vallarta, Mexico on Friday, November 29, 2019. ​To ensure you receive the best available rates for the event, they have secured group pricing, which can be booked through their selected travel partner, Jarod's Journeys. The resort in Mexico has strict policies in regards to guests attending the wedding. All guests will be required to stay at the resort to avoid purchasing day passes to attend the wedding. 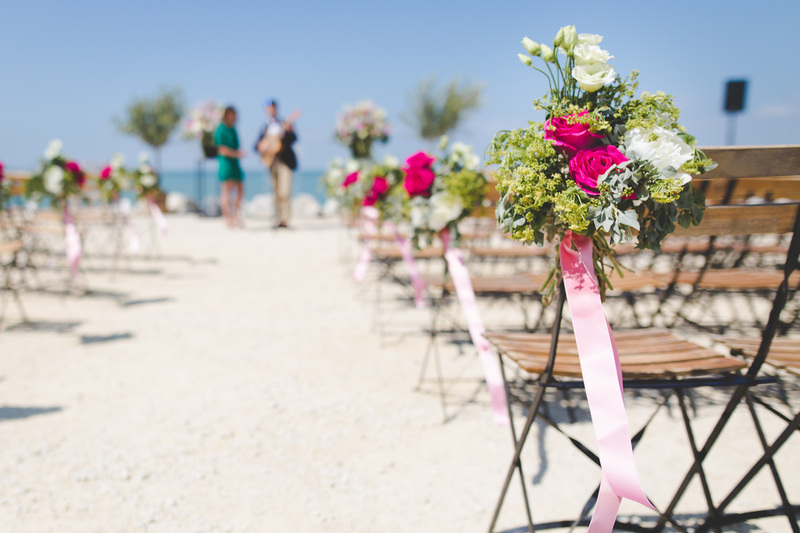 The resort requests that all wedding guests, book their accommodations through the same travel professional. This will allow easy booking of the rooms. Jarod's Journeys can also assist with booking airfare if you need. If not, please make sure to coordinate your airfare when booking your room, so they can coordinate your hotel transportation/transfer times, which will be included in your lodging package. 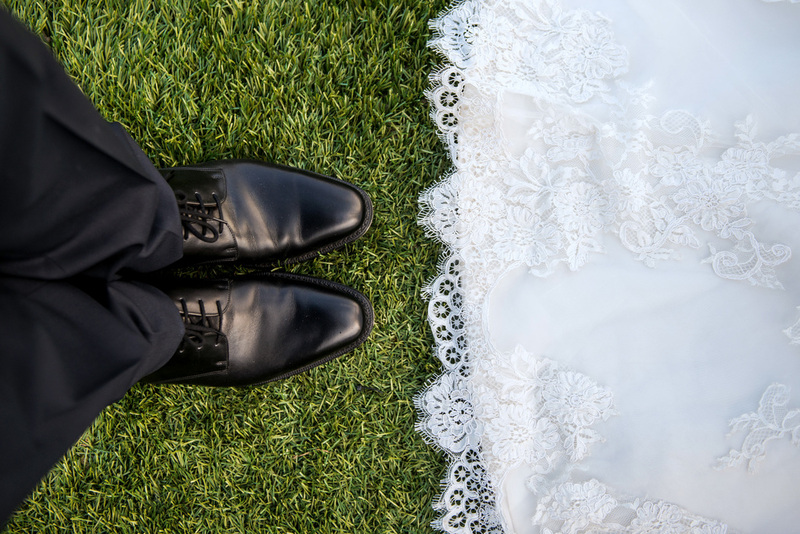 To pay a deposit, and guarantee your spot at the wedding, please contact Jarod's Journeys at 206.852.4558 or through the contact form at the bottom of this page. For those that would like to make payments, several payment options are available at no additional cost to you (excluding airfare). You're probably wondering, "Wait a minute, how is she marrying him." You're not alone, dont worry. It's all been about tricks. Myles has been tricking Jo into dating since October 2009 when he asked her on their first date during Pumpkin Fest in Sycamore, IL (Myles ditched his roommate, who came with him from Chicago to visit, in order to make this happen). They met through a mutual friend who insists that she deserves an edible arrangement for the match-making. From that first Pumpkin Fest, Jo and Myles continued to see each other until they both finally said, "Huh. We love each other. That's neat." Myles then performed his final trick with a surprise trip to San Diego where he proposed to Jo on the beach in Coronado. After some convincing, she said with one hundred percent certainty, "Sure." *We certainly understand that not everyone can make the long trip. And, while we want each and every one of you there to share this special moment with us, we'd love to celebrate with you stateside if you're unable to attend. Explore the lifestyle of a rock 'n' roll star, with all the very best at your fingertips. Escape to the legendary beaches and azure waters of Bahia de Banderas in the heart of Riviera Nayarit, Mexico. Hard Rock Hotel Vallarta is a luxury, all-inclusive resort 20 minutes from the excitement of Puerto Vallarta that indulges your senses. With a gorgeous beachfront setting, The Hard Rock Hotel Vallarta is the essence of all-inclusive coastal luxury and tranquility. Edging the jaw-dropping sand beaches of Vallarta, a charming Colonial fishing village and the Sierra Madre Mountains, our Nuevo Vallarta resort is the place to be. Hard Rock Hotel Vallarta offers six distinctive restaurants with sumptuous international cuisine ("Frida" serves traditional Mexican, "Zen" serves Asian cuisine, "Ciao" serving Italian and Mediterranean, "Ipanema" which is a Brazilian grill, "The Market" buffet serving food from all around the world and "Pazzeto" serving pizza and other snacks around the pool. You will enjoy unlimited drinks, light fare, music and entertainment at the bars and lounges that will leave you wanting a culinary encore! 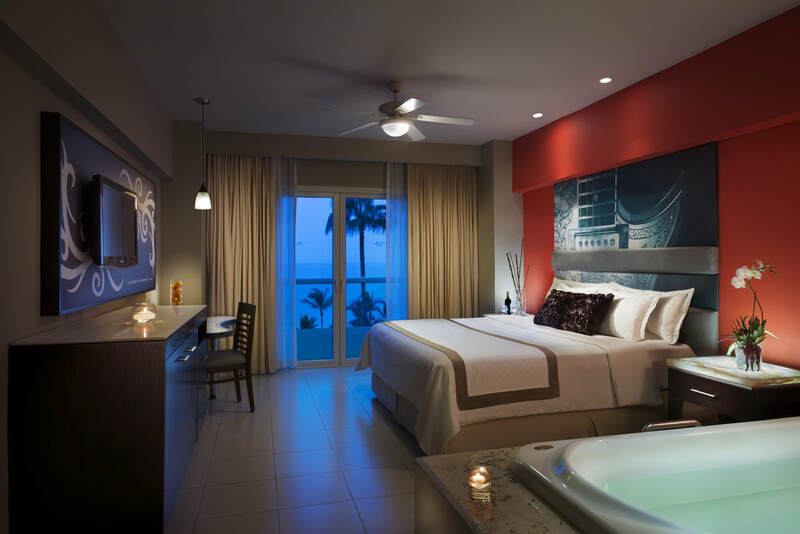 The Hard Rock Hotel Vallarta features modern rooms and suites to relax and rejuvenate in. They are designed with colonial Mexican decor and have spectacular views of Banderas Bay. All of Hard Rock Hotel Vallarta's accommodations include Free WiFi in your room and hotel areas, Hydro spa tub, 32" flat screen television, Bluetooth alarm clock with mp3 connections, 24-hour room service and a private balcony. You can rejuvenate your body and soul with holistic spa rituals at "Rock Spa". Relax by two sparkling tropical pools, soak in the bubbling hot tubs and get energized in the Body Rock fitness center. When night falls over Hard Rock Hotel Vallarta, the entertainment heats up with live music, concerts, entertainment and fabulous parties! Deluxe Rooms have one king or two double beds, are 457.5sqft, have limited views that could be partially obstructed & have a maximum occupancy of 4 guests (including children). Deluxe Gold rooms have one king or two double beds, are 45.5sqft, have a partial ocean view, have a maximum occupancy of 4 guests (including children) and have accessible rooms available. If you would like assistance in arranging airfare, please let Jarod know. Jarod's Journeys has access to some vacation charter flights. Depending on your gateway city, we may be able to book you on one of those! If you decide to arrange your own airfare, please let Jarod know, so he can get your arrival/departure times scheduled for your hotel transportation! Your presence is present enough! No, really. We have cohabited for quite some time and have everything we need. For those of you still wondering what or how to gift something, please consider donating to your favorite charity in our honor. If you need suggestions, please consider either El Centro de la Raza or Latinos Progresando. These organizations serve the Latin and Hispanic communities in Chicago and Seattle. We saw this as a way to give back to the community that will show us boatloads of hospitality while we celebrate such a milestone. * If you donate on our behalf, please be sure to have the charity notify us so we can send you a proper thank you! Are either of you changing your last name? Nope! We've both decided to keep our given names. Beach casual. We just made up that dress code. Think khakis, nice shorts, short sleeve button-ups, sun dresses, rompers, skirts. Shoes are optional. Please be mindful the ceremony is on the beach around 5pm and could be breezy. The reception is happening outdoors, in the grass, overlooking the beach. Is there a dress code for the resort? Nope! Most people dress up a bit for dinner, however. Long pants or nice shorts, a dress or blouse. Is there an itinerary for the week? The only thing we hope you won't decide to skip is the wedding! That will be happening Friday, November 29th in the early evening. There will be a few other events (welcome party, farewell brunch, etc) that we will have more details on as the date gets closer. These extras aren't mandatory but we'd love to see you there, of course! What about getting from the airport to the resort? All airport transfers are included when you book your room with Jarod. Do I need to wait until I get my invitation to reserve my room? Nope! I assume you ended up here after receiving a save-the-date. You are welcome to contact Jarod right this minute to get things started. He even has the option to set up a payment plan and help spread out your costs. If you are ready to reserve your vacation, you can click on the below link to enter your information, or you can fill out the contact form in the next section. Click here to join Myles and Jordan!